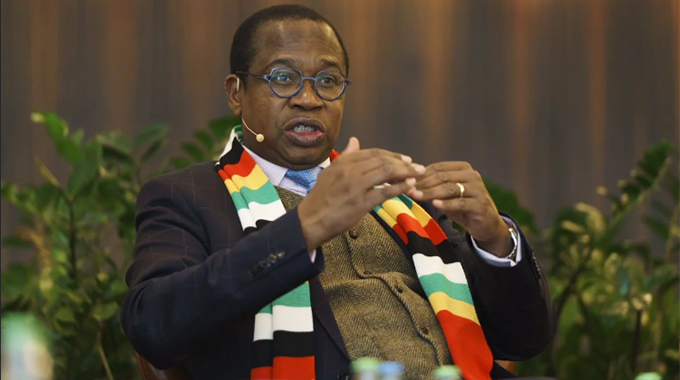 The implementation of macro-fiscal stabilisation measures as espoused in the national economic blueprint, the Transitional Stabilisation Programme (TSP), has seen revenue collections rising significantly, while Budget deficits have been arrested. This is shown in the Treasury Quarterly Bulletin (2018 Fourth Quarter) released on Wednesday, departing from the First Republic whose statement on the financial performance of the consolidated revenue fund was characterised by budget overruns. According to the report, the country recorded “a phenomenal” budget surplus by December 2018, against a background of improving revenue collections. Reads the report in part: “This fourth quarter performance also represents a phenomenal 60 percent increase from the collections of US$1,06 billion recorded during the same period in 2017. Both tax revenue and non-tax revenue recorded positive variances of 27,1 percent and 321,7 percent, respectively. Non-tax revenue was US$274,1 million for the period October to December against a target of US$65 million, representing a 321,7 percent jump. All revenue heads, apart from value added tax (VAT), performed above set targets. VAT collections were lower than the third quarter collections by US$63,5 million, principally due to reduced VAT collections on imported products, as well as higher VAT refunds during the quarter under review, compared to the preceding quarter’s performance. VAT refunds rose to US$142,4 million in the fourth quarter, compared to US$69,1 million in the earlier quarter. However, VAT on domestic goods performed above the target and also surpassed the third quarter collections. Adds the report: “Contribution of revenue heads to total revenue was almost equal without significant differences. The major contributors to revenue collections continued to be VAT, at 17,5 percent down from 27,9 percent contributed in the third quarter; followed by non-tax revenue, 16,2 percent; companies’ tax, 15,2 percent and excise duty, 14,3 percent. Critically, preliminary budget expenditures in the fourth quarter were US$1,4 billion against the planned US$1,2 billion, resulting in expenditure over-runs of about US$200 million largely due to over-expenditure on employment costs, interest on debt and operations and maintenance. The employment costs amounted to US$1,1 billion against a target of US$734,7 million. This resulted in expenditure overruns of US$361,3 million due to the payment of annual bonuses in November 2018. Interestingly, the lower expenditures were also a result of the implementation of the new policy on 13th Cheque, which is now equal to each employee’s basic salary rather than gross salary. The new matrix gave savings of US$80 million. Since the conclusion of the watershed July 30, 2018 harmonised polls which were resoundingly won by ZANU-PF, a raft of policy measures aimed at transforming the economy were introduced. The policies are largely anchored on the TSP which runs from October 2018 to December 2020. Under the TSP Government targets macro-fiscal stabilisation; building a conducive investment environment and launch respective quick-wins to stimulate and sustain a renewed private sector led growth economy; reintegrating the country into the global economy; and promotion of sound and good governance as an essential ingredient for socioeconomic cohesion and development.